El Paso is a deep-rooted tradition in Istán. 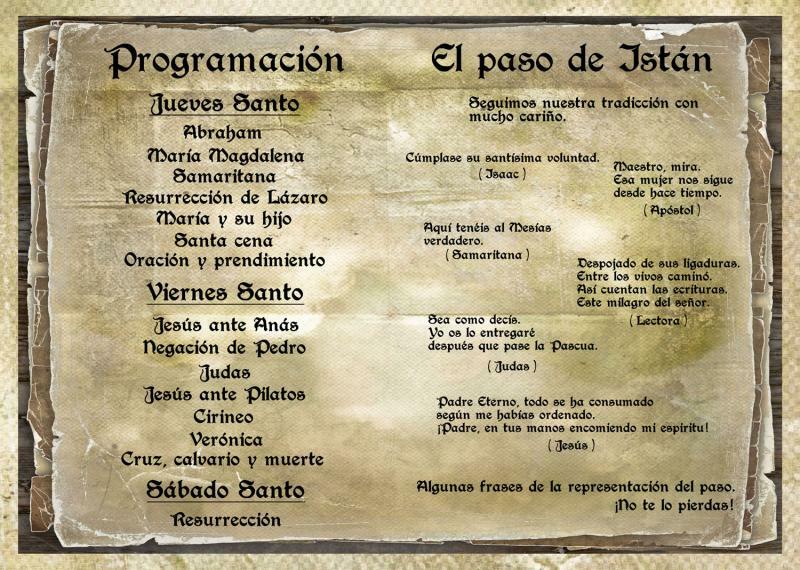 It`s origins dates back to the XVII century, specifically to the year 1.666, in which the representations began in the village square. It was cancelled during the years prior to the civil war, although never disappeared from the memories of the locals who, in 1.980, revived it. In the past, the characters wore masks and carried out the movements narrated by a choir on the stage of the town square. 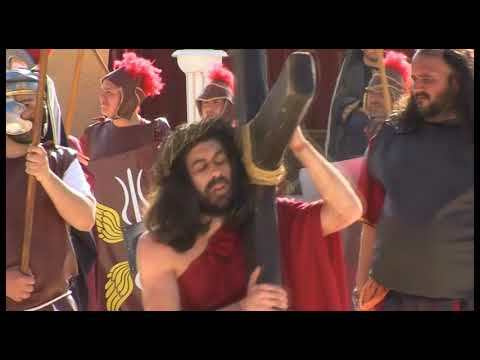 Currently, Old and New Testaments which culminate with the Crucifixion of Jesus, are performed live. 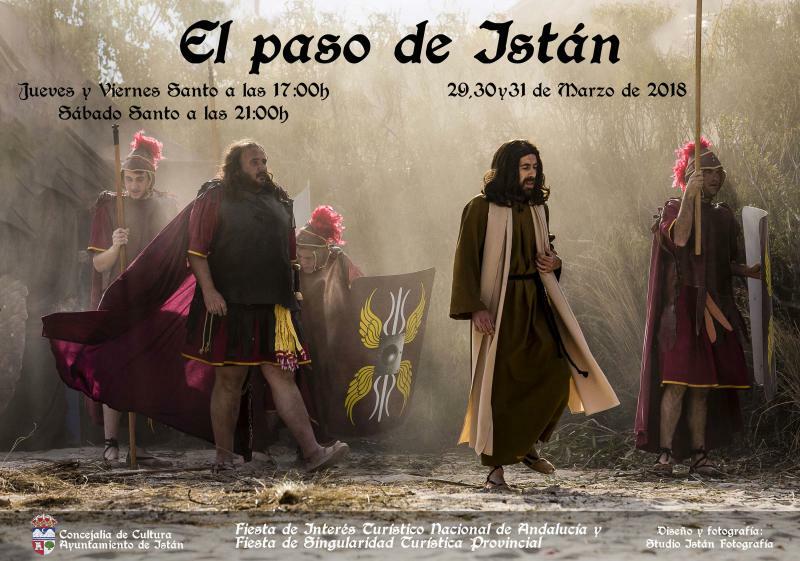 El Paso is a popular and very respected tradition which counts on the collaboration of the whole village, so much that the number of participants and characters always above 100. 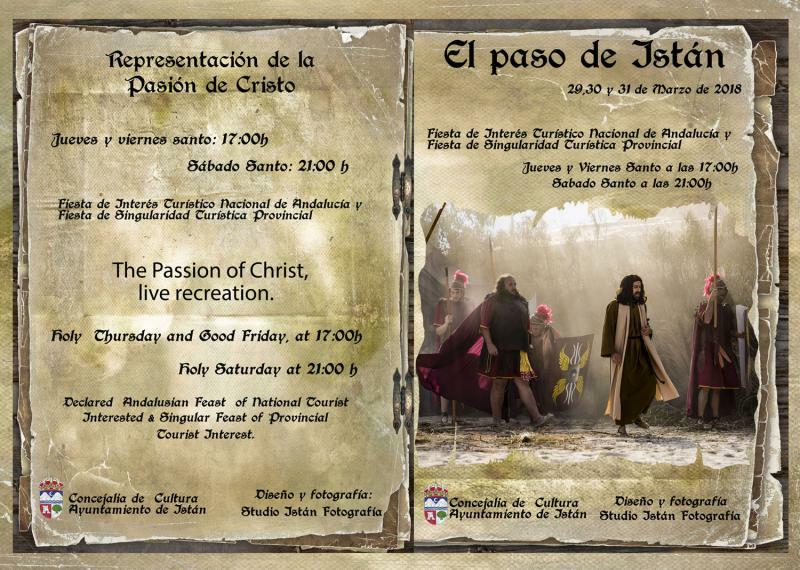 Days: Holy Thursday and Holy Friday at 17:00h; Holy Saturday at 21:00h.